The Brazilian Blowout gives you perfectly straight hair for up to 3 months. It consists of a keratin solution which is applied in combination with the heat from a blow dryer and then from a straightener. 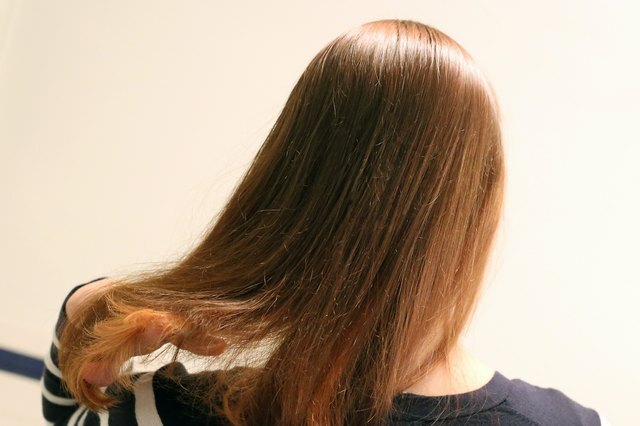 After this treatment, hair is shiny, frizz-free, smooth, manageable and full of volume. 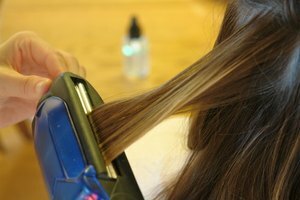 The Brazilian Blowout is a hair treatment usually done at a salon, but with the right tools, you can successfully do it at home as well. Get an at-home Brazilian Blowout kit either online or in person from a beauty supply store or hair salon. You can also purchase the items separately at a hair salon or beauty supply store. Wash your hair using the Brazilian Blowout Professional Shampoo, which prepares your hair for being smoothed and removes any residue. Wrap hair in a towel and remove after a few minutes. Gently blot hair -- do not rub vigorously to avoid breaking the delicate, wet strands. Comb hair and divide it into 3 to 4 inch sections, making about 4 to 6 sections in total. Take the Brazilian Blowout Professional Treatment and apply it to each section of your hair from root to tip. Use a comb to distribute it evenly. The treatment should coat every strand. It wraps hair with a protective protein layer which helps smooth and flatten the hair cuticle. 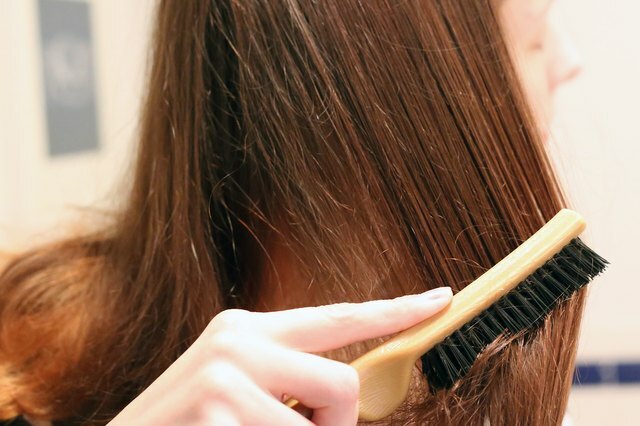 Blow dry hair while brushing it straight with either a flat or round brush. The goal is to make hair as straight as possible. Brush with downward strokes and point the blow dryer downward as well so that it dries the hair by smoothing it from above. 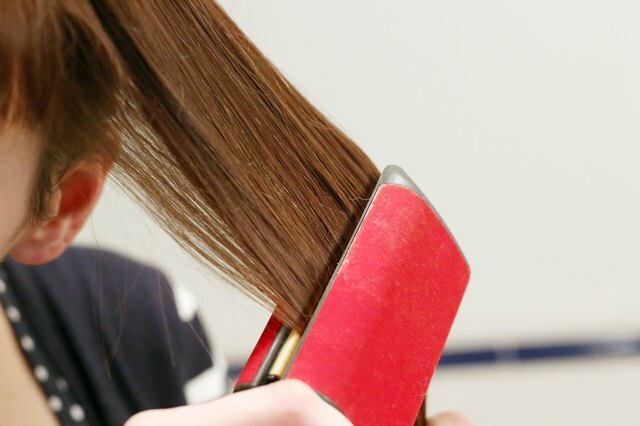 Separate hair into four sections once it's dry and hold them in place with a bobby pin or clip. Be careful when clipping hair to avoid accidentally causing a dent or wave. Then straighten hair with a straightening iron in 2 to 3 inch sections. 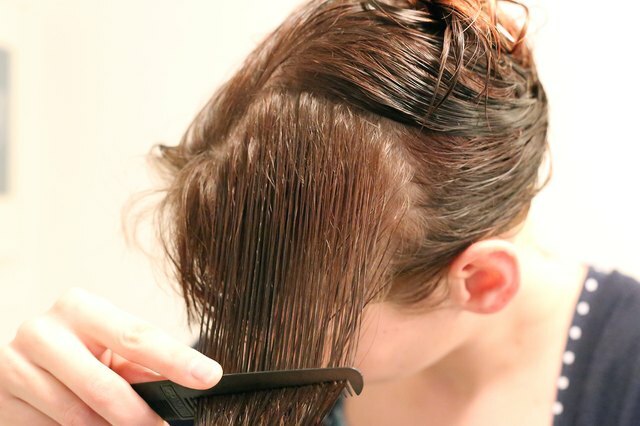 Rinse off the hair without using any shampoo once you've straightened it. Dry with a towel. 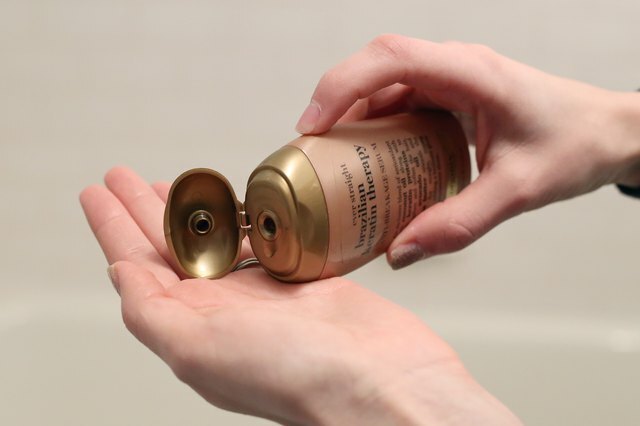 Then, to seal the Brazilian Blowout formula, apply the Brazilian Blowout Masque, making sure it covers each strand of hair. 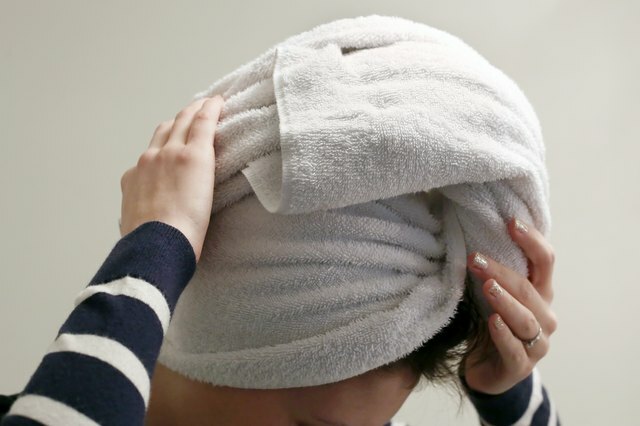 Wait 60 seconds, rinse hair again, then towel-dry. Apply the Brazilian Blowout Smoothing Serum to each strand. This product helps seal the cuticle and makes hair easier to detangle. Brush or comb hair if necessary. 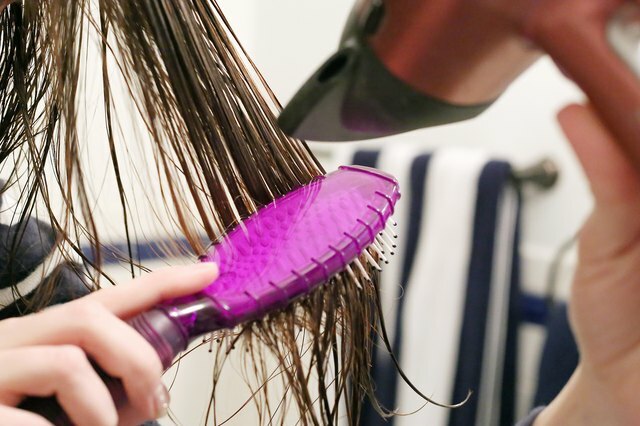 Blow dry hair straight one last time using the same flat or round brush. Then style as desired. The whole process should take about 90 minutes or less, depending on the thickness and texture of your hair. Straight hair takes less time than wavy or curly hair. These instructions refer specifically to the original Brazilian Blowout treatment. 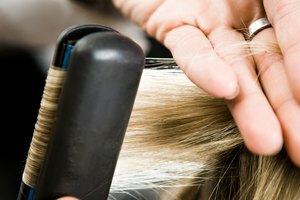 You may get a different Brazilian Blowout or keratin straightening kit which will most likely contain similar products: a shampoo and conditioner, a treatment and a smoothing formula. 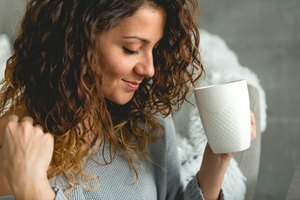 You should have strong, healthy hair when considering the Brazilian Blowout. Since it changes the natural structure of your hair, it is considered a chemical process.